1. Cut a green apple into quarters. 2. Toss the apple, a handful of spinach, cup of water, splash of lemon juice, a d cup of ice into a blender. 3. Start on a low setting and quickly turn it to max speed. 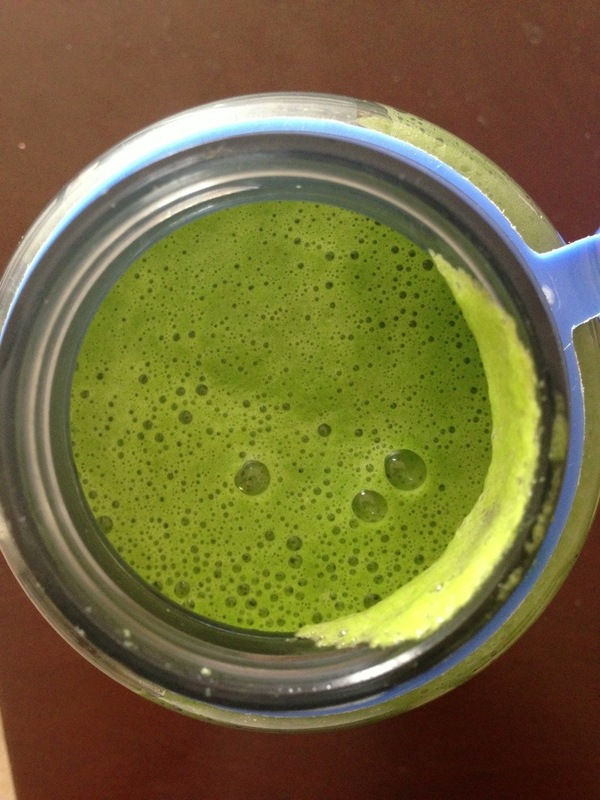 Blend for about 60 seconds or until the spinach and apple are completely liquefied and frothy. This makes one MASSIVE green juice coming in at about 100 calories (depending on size of apple.) Enjoy! !